see your business through the eyes of your customers !!! 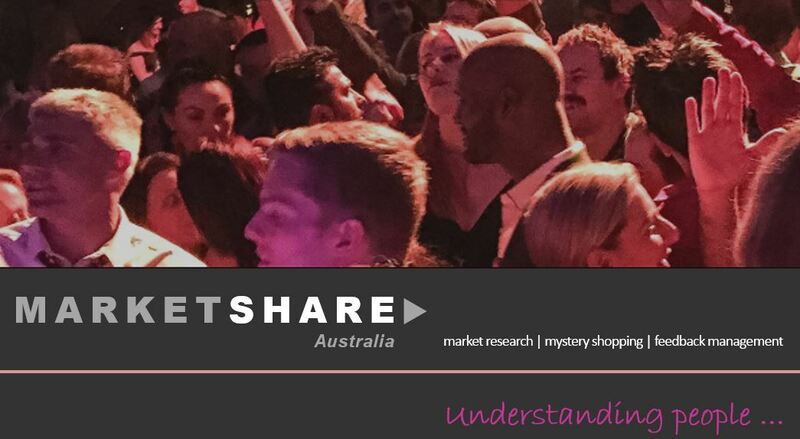 Marketshare Australia designs, implements and manages quality mystery shopping programs across many industry sectors throughout Australia. Mystery shopping audits what is important to customers and what is important from an operational viewpoint. Some organisations rely solely on customer feedback as a measure of a stores performance. Customer feedback is important, but when used as a tool to measure performance, the results and information can be random and unreliable. Mystery shopping is a proactive approach to monitoring a stores performance and adherence to protocols. It allows you to step into your customers’ shoes and experience service as provided by you. It provides you with a detailed report on what you do well and not so well. are our customers enjoying a good experience? are our employees knowledgeable about the products and services we offer? do our employees treat customers the way we expect them to? It provides you with the resources to take an objective look at your organisation and whether the processes in place are working for or against you. Our mystery shopping program offers a unique customer focused perspective that allows you to improve and standardise your operations where it counts. Allowing you to focus on other strategic growth opportunities in the delivery of your service. on-going employee integrity and knowledge. customer service protocols development & reporting. These are customised to your needs. You will also have access to our online/real time reporting system. Responsive and easy to use, our online system offers you the ability to see data the way you want, when you want.